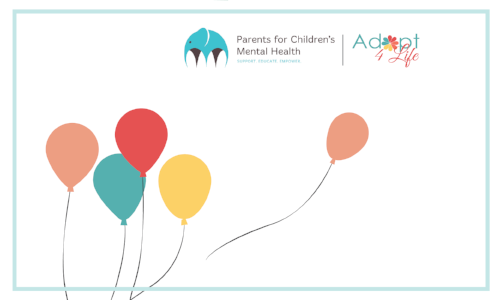 In partnership with our friends at PCMH, Adopt4Life strives to continue the conversation and spread awareness about Children's Mental Health, and how it affects so many families. We are #StrongerTogether. It's ok to make mistakes, it's ok that you sometimes need to spend more time with your other child. We may not understand it as children, but we will, and we know your love for all of us surpasses any diagnoses. To the anxious, judgmental mom beside me. I’ve learned that my sense of humour helps me to survive those rather difficult situations (among many other parenting moments!) and that the best I can do is to educate, advocate and support. "SOON IT WILL ALL BE OVER"
These words which I will never forget were etched into the wooden bathroom cupboards by our teenage daughter who had been diagnosed with depression and anxiety. We felt isolated and misunderstood as parents, because we wouldn’t just ‘make’ her do things, go places or see people. 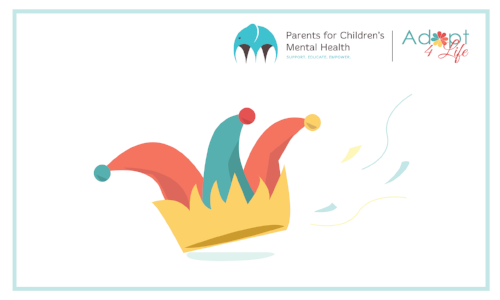 I finally found an organization called Parents for Children’s Mental Health (PCMH) that offered support and a listening ear. Talking with other parents who were experiencing the same things as me drastically reduced my feelings of isolation and shame.